Now, you might say that ethical principles (which exist to guide choices) should advocate compassion. But emotional responses are not in a person’s direct control. (To illustrate: if your wife or mother dies, you can’t directly choose whether or not to feel sad.) So an emotional response is not, itself, a choice, but only the result of prior intellectual choices. Thus, moral principles advocating certain emotional responses don’t make sense. If we say that moral principles should advocate actions that are typically associated with compassion, then the question is: Which “compassionate actions” and for whose benefit? Since the actions are supposed to be derived from ethical principles when emotions aren’t felt, they would have to guide you in detail about whom to do the actions for. Good luck finding moral principles that will give you solid, justified advice on whom among the 7 billion people on the planet to help. I discuss the fundamentally individual nature of human beings in these two blog posts: What Interdependence Means and Why Society Isn’t Interdependent and QuickPoint 1: Thinking is Individual, and in Section 3 of my Intro. to Objectivism. You can’t have a compromise between individualism and collectivism, because each individual can have only one ultimate value. 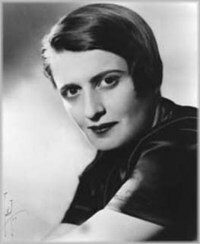 That people need raising by parents or guardians as children has no bearing on the fact of their fundamental independence of thought as adults, and is no counter to Ayn Rand’s reasoning for the ultimate standard of value adults ought to pursue. Similarly for the fact that people may choose to have relationships with certain other people, and gain great values for themselves in the process. The individual’s life and happiness is still the standard by which friendships should be judged. A relationship that is self-sacrificial is a bad relationship, and there’s no good reason to subordinate oneself to a relationship or group that is toxic for one’s overall (mental and/or physical) well-being. I don’t see how this is any critique of Rand’s political ideal. If you understand and accept the reasoning for why a free market is ideal, then this is a critique of our current political systems: that they are very far from ideal. The thing to do is not to seek a compromise with the immoral as “practical,” but to seek to move toward the ideal, knowing that it is the ideal, and evaluating cultural/political policies accordingly. Even if the ideal is never achieved in your lifetime, you benefit from the clarity of thought and purpose that the ideal offers. This entry was posted in Ethics, Human Nature, Politics and tagged atlas shrugged, Ayn Rand, college, compassion, libertarian, liberty, Objectivism, philosophy, relationships by Sword of Apollo. Bookmark the permalink. Compassion is an emotion and emotions are automatic subconscious value judgments based on previously internalized principles or premises. Although It’s true that emotions per se aren’t an issue of philosophical discourse, the principles on which they are based are. By changing and internalizing different philosophy one may change his emotions. For example a religionist which became an atheist will not feel an exaltation when attending religious service. Of course, and we can derive great value from social interaction with others. The question is, on what basis do we form those relationships? By force? By coercion? By threat? Or, by mutual, voluntary consent and to mutual benefit? People who drop the “anarchy” bomb (which this poster did) are using the argument from intimidation on you. They are calling you an anarchist, or a sociopath, and they are doing this to evade having to discuss the actual issue at hand: force and coercion vs. reason and persuasion; collectivism vs. individualism. I think the poster is right, in the sense that Ayn Rand’s ideas on ethics do not place an emphasis on compassion. This is often exploited to attack her ideas as being cold or heartless. Rand was on guard against sacrificing the individual as typified under collectivism, so any claim that man should be his brother’s keeper, or that whiffed of it, she was naturally quick to reject. However the close observer will note that she did not ever argue against being compassionate. Under Rand’s philosophy there is nothing that opposes one person feeling compassion for another – it is not a vice – provided the actions in consequence of the feeling are in the feeler’s rational self interest. I.e. it is a compassion which is not self-defeating. Objectivist ethics and politics demand that no one is sacrificed but everyone is treated as they deserve to be, through recognition and acceptance of each others inalienable individual rights. It is a system which resolves disputes and conflict by means of laws which are objective and applied with reason. The deep desire of those who practice Objectivist ethics is to prevent undue harm done to all individuals and to alleviate their suffering by means of providing justice. It has compassion without demanding that we are our brother’s keeper.